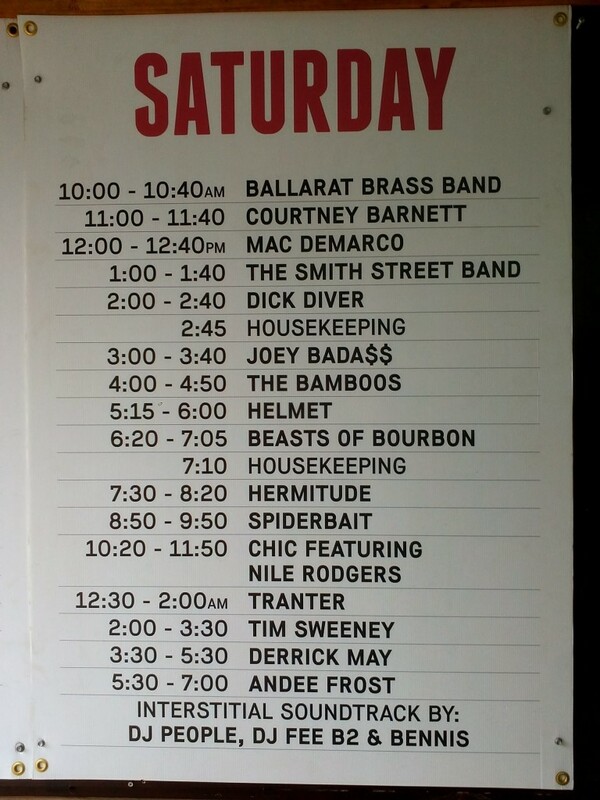 The Band made their 9th appearance at the world famous Meredith Music Festival in December 2013, and the intense media coverage leading up to our appearance had the crowd in a frenzy of anticipation as we took the stage on a mild and pleasant Saturday morning. The irrepressible Bob Pattie took the conductor’s baton, forgoing his usual role as our solo trumpeter extraordinaire, and led the band with great gusto through a series of classics old and new. This year’s setlist included some ripping songs from the Beatles and Queen, some old time favourites like Little Brown Jug, and even a Lady Gaga song in case anyone under 30 was listening. This year we warmed up the stage for some great Aussie bands like Beasts of Bourbon and Spiderbait, as well as international megastars Chic, who are the undisputed kings of disco music. Our banner-making friends from last year were there again too, and hooked us up with another great sign to adorn our band room – thanks! The Meredith gig is always a highlight of our year, and 2013 was no exception. 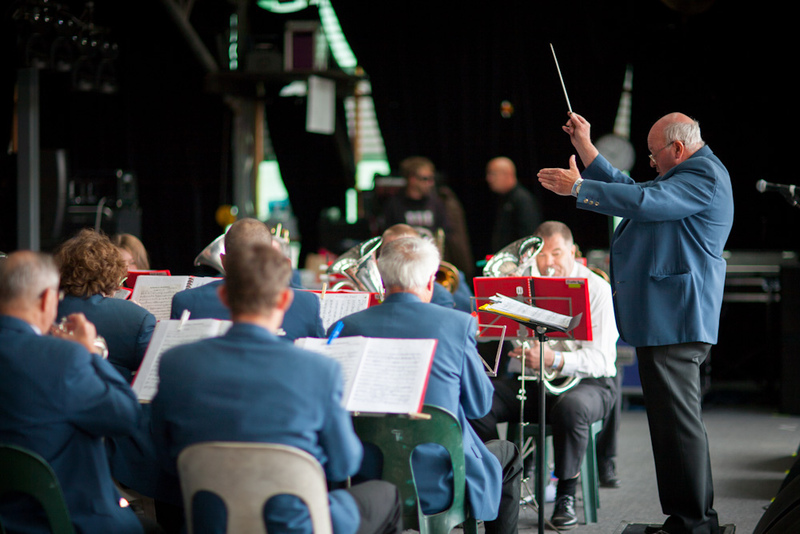 The band went back to Mt Gambier again in November 2013 for the famous Blue Lake Brass Band festival. This time played a song called Wairoa in the Street March competition, and were led by Lindsay Govan, who won his second Best Drum Major award for his role in the march. We played in the Christmas Parade after the marching contest, which is always a favourite of the locals who lined the streets for a glimpse of the bands. We also played in the Music Contest in the afternoon and did well, taking out second place in our division and winning the award for the best stage march on the day. One again we loved our trip away to this beautiful city, and we’re already looking forward to getting back to Mt Gambier next year.